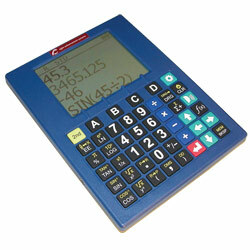 Enlarged, highly visible keypad. Large four-line graphical display with selectable contrast. Adjustable display backlight for operating in low-light conditions. Includes long life battery, USB charger for battery, earbuds and large print user manual. Color: Blue. Ideal for those with Low Vision, or Blindness.